A former U-Cu occurrence/mine located in sec. 19, T37S, R15E, SLM, 6.8 km (4.2 miles) SSE of Chocolate Drop (summit), on Bureau of Land Management administered land (located claim). The deposit was first recognized as replacements of petrified wood in the summer of 1898 by John Wetherill. First recorded claim in 1943 by J. Wiley Redd. Owned by William B. Redd, Colorado (1974); and by the Shumway Brothers, Colorado (1974). Operated by Goode Mining and Exploration. First produced in 1951. 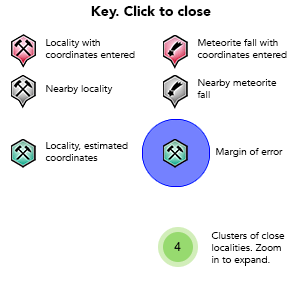 MRDS database accuracy for this location is not stated (coordinates are from the plášilite article). Mineralization is a replacement deposit hosted in Late Triassic siltstone and sandstone of the Shinarump Member, Chinle Formation. 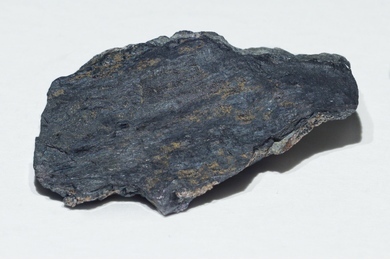 The ore body is tabular at a thickness of 6ft [1.83m], a width of 80ft [24.38m] and a length of 120ft [36.58m]. The depth-to-bottom is 70ft [21.34m] and the depth-to-top is 12ft [3.66m]. Controls for ore emplacement included channel fill, carbonized plant remains, and lithology. Local alteration is bleaching in mudstone. Local rocks include Triassic (1) sedimentary rocks in Salt southeastern Utah. Secondary minerals have formed on the walls of the underground workings. Workings include underground openings with a length of 1500ft [457.2m] and an overall depth of 80ft [24.38m]. The extent and results of drilling to the North are unknown. 87 valid minerals. 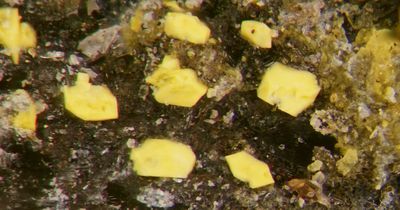 19 (TL) - type locality of valid minerals. Reference: Kampf, A.R., Plášil, J., Čejka, J., Marty, J., Škoda, R., Lapčák, L. (2016) Alwilkinsite-(Y), IMA 2015-097. CNMNC Newsletter No. 29, February 2016, 204. Mineralogical Magazine: 80: 199–205. 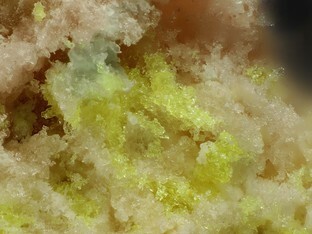 ; Kampf, A.R., Plášil, J., Čejka, J., Marty, J., Škoda, R., Lapčák, L. (2017): Alwilkinsite-(Y), a new rare-earth uranyl sulfate mineral from the Blue Lizard mine, San Juan County, Utah, USA. Mineralogical Magazine, 81, 895-907. Reference: Kampf, A.R., Plášil, J., Olds, T.A.,Nash, B.P. and Marty, J. (2017) Ammoniozippeite, IMA 2017-073. CNMNC Newsletter No. 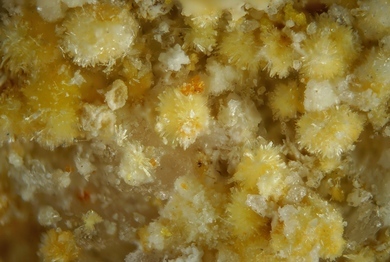 40, December 2017, page 1579; Mineralogical Magazine: 81: 1577–1581; Kampf, A.R., Plášil, J., Olds, T.A., Nash, B.P., Marty, J. 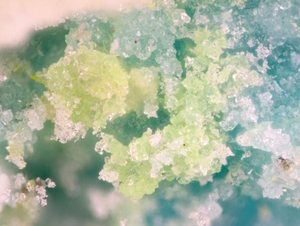 (2018) Ammoniozippeite, a New Uranyl Sulfate Mineral from the Blue Lizard Mine, San Juan County, Utah, and the Burro Mine, San Miguel County, Colorado, USA. 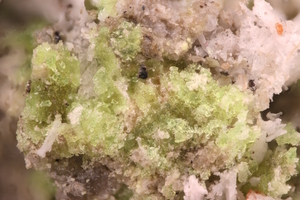 Canadian Mineralogist: 56: 235-245. Reference: Kampf, A.R., Plášil, J., Kasatkin, A.V. and Marty, J. 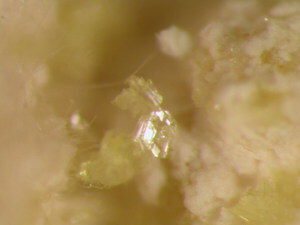 (2013) Belakovskiite, IMA 2013-075. CNMNC Newsletter No. 18, December 2013, page 3252; Mineralogical Magazine, 77, 3249-3258. Reference: Plášil, J., Kampf, A.R., Kasatkin, A.V. and Marty, J. 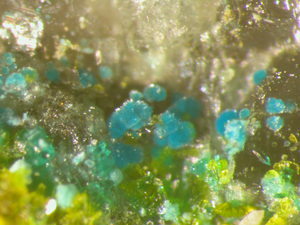 (2014): Bluelizardite, Na7(UO2)(SO4)4Cl(H2O)2, a new uranyl sulfate mineral from the Blue Lizard mine, San Juan County, Utah, USA. Journal of Geosciences, 59, 145-158. Reference: Kampf, A.R., Pla´sˇil, J., Kasatkin, A.V. and Marty, J. (2014) Bobcookite, IMA 2014-030. CNMNC Newsletter No. 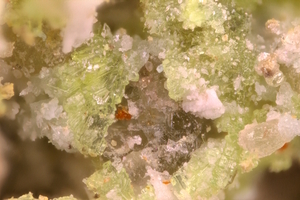 21, August 2014, page 802; Mineralogical Magazine, 78, 797-804. ; Kampf, A.R., Plášil, J., Kasatkin, A.V., Marty, J. 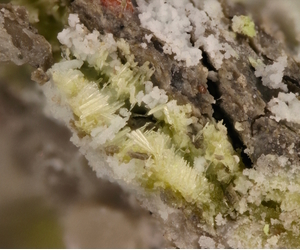 (2015): Bobcookite, NaAl(UO2)2(SO4)4·18H2O and wetherillite, Na2Mg(UO2)2(SO4)4·18H2O, two new uranyl sulfate minerals from the Blue Lizard mine, San Juan County, Utah, USA. Mineralogical Magazine, 79, 695-714. Reference: USGS (2005), Mineral Resources Data System (MRDS): U.S. Geological Survey, Reston, Virginia, loc. file ID #10129779. Reference: Kasatkin, A.V., Nestola, F., Pla´sˇil, J., Marty, J., Belakovskiy, D.I., Agakhanov, A.A., Mills, S.J., Lanza, A., Favaro, M. and Bianchin, S. (2013) Cobaltoblödite, IMA 2012- 059. CNMNC Newsletter No. 15, February 2013, page 5; Mineralogical Magazine, 77, 1-12. Reference: EDS and Raman analyzed by Joy Desor. Reference: Collected by and in the collection of Brent Thorne;Plášil, j.,Kampf, A.R., Kasatkin, A.V., Marty, J., Škoda, R., Silva, S. & Čejka, J. 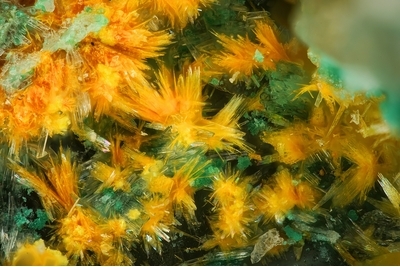 (2013): Meisserite, Na5(UO2)(SO4)3(SO3OH)(H2O), a new uranyl sulfate mineral from the Blue Lizard mine, San Juan County, Utah, USA. Mineralogical Magazine. 77, 2975-2988. Reference: Plášil, j.,Kampf, A.R., Kasatkin, A.V., Marty, J., Škoda, R., Silva, S. & Čejka, J. 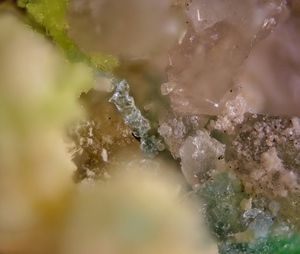 (2013): Meisserite, Na5(UO2)(SO4)3(SO3OH)(H2O), a new uranyl sulfate mineral from the Blue Lizard mine, San Juan County, Utah, USA. Mineralogical Magazine. 77, 2975-2988. Reference: Kampf, A.R., Olds, T.A., Plášil, J., Marty, J. and Perry, S.N. 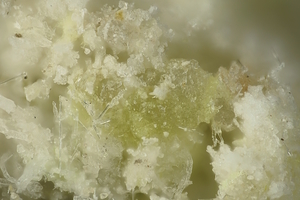 (2017) Feynmanite, IMA 2017-035. CNMNC Newsletter No. 38, August 2017, page 1037; Mineralogical Magazine: 81: 1033–1038. Reference: Analyzed by Joy Desor. Reference: Collected by and in the collection of Brent Thorne; Plášil, j.,Kampf, A.R., Kasatkin, A.V., Marty, J., Škoda, R., Silva, S. & Čejka, J. 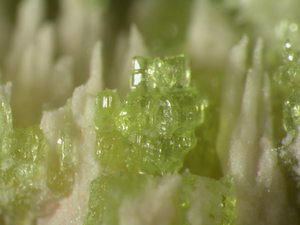 (2013): Meisserite, Na5(UO2)(SO4)3(SO3OH)(H2O), a new uranyl sulfate mineral from the Blue Lizard mine, San Juan County, Utah, USA. 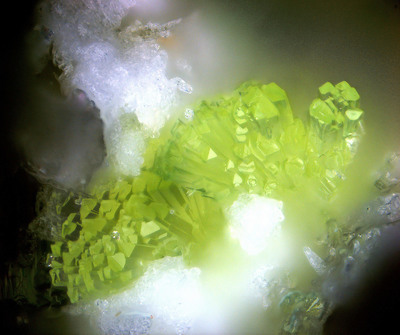 Mineralogical Magazine. 77, 2975-2988..
Reference: Collected by and in the collections of Brent Thorne and Joe Marty; Plášil, j.,Kampf, A.R., Kasatkin, A.V., Marty, J., Škoda, R., Silva, S. & Čejka, J. 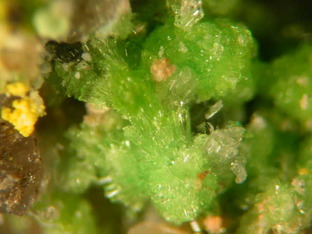 (2013): Meisserite, Na5(UO2)(SO4)3(SO3OH)(H2O), a new uranyl sulfate mineral from the Blue Lizard mine, San Juan County, Utah, USA. Mineralogical Magazine. 77, 2975-2988. Reference: Kampf, A.R., Plášil, J.,Kasatkin,A.V.,Marty, J. and Čejka, J. (2016) Klaprothite, IMA 2015-087. CNMNC Newsletter No. 29, February 2016, page 201; Mineralogical Magazine, 80, 199–205. Reference: Kampf, A.R., Olds, T., Plášil, J., Nash, B.P. and Marty, J. (2018) Lussierite, IMA 2018-101. CNMNC Newsletter No. 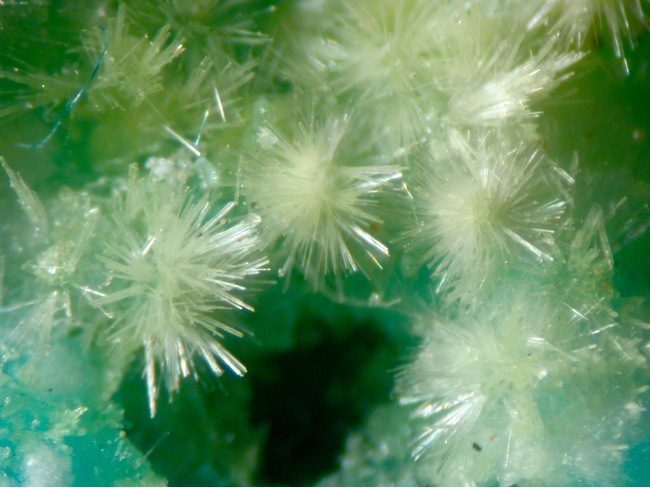 46, December 2018, page xxxx; Mineralogical Magazine, 82, xxxx–xxxx. Reference: Collected by and in the collection of Brent Thorne. EDS confirmed. Reference: Plášil, J., Kampf, A.R., Kasatkin, A.V., Silva, S., Marty, J., Škoda R. and Čejka, J. 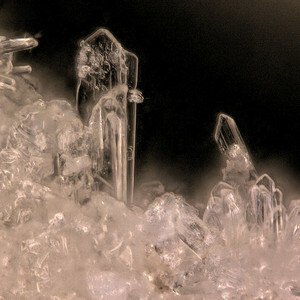 (2013) Meisserite, IMA 2013-039. CNMNC Newsletter No. 17, October 2013, page 2999; Mineralogical Magazine, 77, 2997-3005 ; Plášil, j.,Kampf, A.R., Kasatkin, A.V., Marty, J., Škoda, R., Silva, S. & Čejka, J. 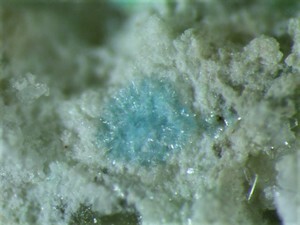 (2013): Meisserite, Na5(UO2)(SO4)3(SO3OH)(H2O), a new uranyl sulfate mineral from the Blue Lizard mine, San Juan County, Utah, USA. Mineralogical Magazine. 77, 2975-2988. Reference: Kampf, A.R., Plášil, J., Kasatkin, A.V., Marty, J. and Čejka, J. 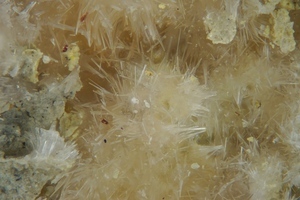 (2016) Péligotite, IMA2015-088. CNMNC Newsletter No. 29, February 2016, page 201; Mineralogical Magazine, 80, 199–205. Reference: UGMS Bull 117 Minerals and Mineral Localities of Utah; USGS (2005), Mineral Resources Data System (MRDS): U.S. Geological Survey, Reston, Virginia, loc. file ID #10129779. Reference: Olds, T.A., Plášil, J., Kampf, A.R., Burns, P.C., Nash, B.P., Marty, J., Rose, T.P. and Carlson, S.M. 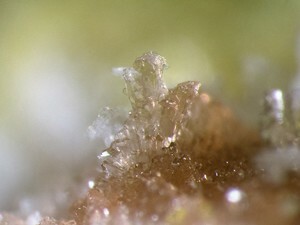 (2016) Redcanyonite, IMA 2016-082. CNMNC Newsletter No. 34, December 2016, page 1320; Mineralogical Magazine, 80, 1315–1321. 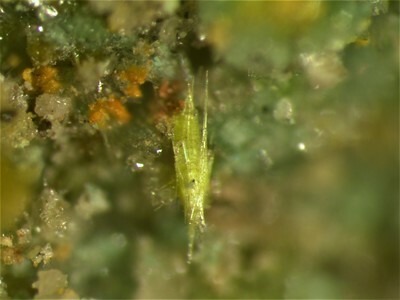 Description: First described and defined as a new species named Cobaltogordaite by Kasatkin et al. (2014). Later found to be identical with Thérèsemagnanite and descredited (IMA 2014-043). 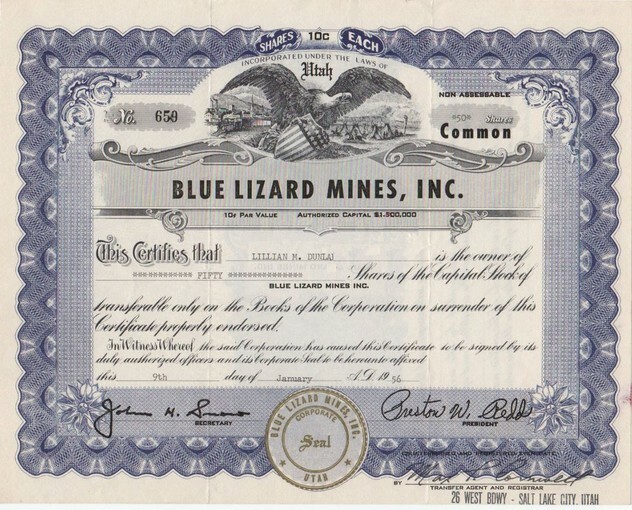 Reference: Joe Marty (2015) Minerals of the Blue Lizard Mine and other Western Localities, NCMA Annual Symposium 2015; Kasatkin, A.V., Plašil, J., Belakovskiy, D.I. and Marty, J. (2014) Cobaltogordaite, IMA 2014-043. CNMNC Newsletter No. 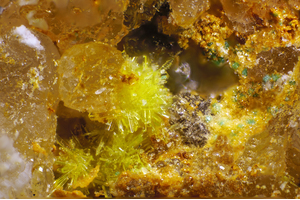 22, October 2014, page 1243; Mineralogical Magazine, 78, 1241-1248. ; CNMNC Newsletter No. 27, IMA 15-K.
Reference: Kampf, A.R., Plášil, J., Kasatkin, A.V. and Marty, J. (2014) Whetherillite, IMA 2014-044. CNMNC Newsletter No. 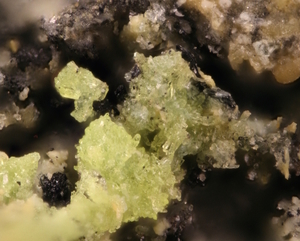 22, October 2014, page 1243; Mineralogical Magazine, 78, 1241-1248.;Kampf, A.R., Plášil, J., Kasatkin, A.V., Marty, J. 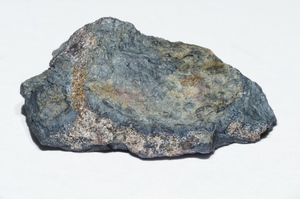 (2015): Bobcookite, NaAl(UO2)2(SO4)4·18H2O and wetherillite, Na2Mg(UO2)2(SO4)4·18H2O, two new uranyl sulfate minerals from the Blue Lizard mine, San Juan County, Utah, USA. Mineralogical Magazine, 79, 695-714. Trites, A.F. Jr (1955) White Canyon area, Utah, quadrangle mapping, pp. 47-48 in Geological investigations of radioactive deposits: Semiannual progress Report-December 1, 1954 to May 31, 1955. 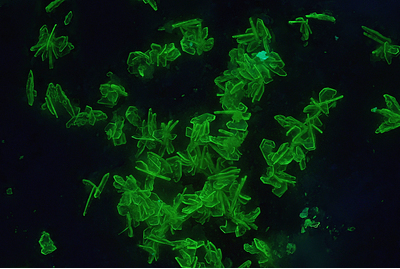 Trace Elements Investigations 540. Thaden, R.E., Trites, A.F., and Finnell, T.L. (1964) Geology and ore deposits of the White Canyon area, San Juan and Garfield Counties, Utah. United States Geological Survey Bulletin 1125. Utah Geologic and Mining Survey Investigation (1973). USGS (2005) Mineral Resources Data System (MRDS): U.S. Geological Survey, Reston, Virginia, loc. file ID #10079025 & 10129779. Nestola, F., Kasatkin, A.V., Plášil, J., Marty, J., Belakovskiy, D.I., Agakhanov, A.A., Pedron D., and Mills, S.J. (2012) Manganoblödite, IMA 2012-029. CNMNC Newsletter No. 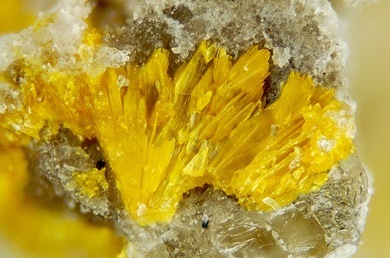 14, October 2012, page 1284; Mineralogical Magazine, 76, 1281-1288. Kampf, A.R., Plášil, J., Kasatkin, A.V., and Marty, J. 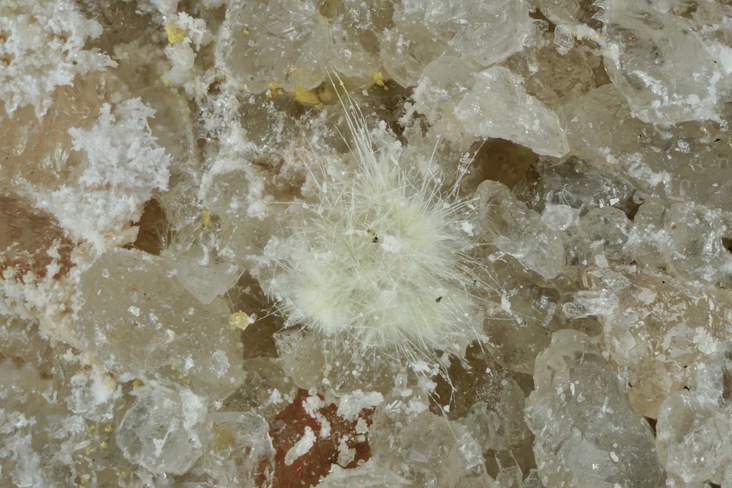 (2013) Belakovskiite, IMA 2013-075. CNMNC Newsletter No. 18, December 2013, page 3252; Mineralogical Magazine, 77, 3249-3258. Kasatkin, A.V., Nestola, F., Plášil, J., Marty, J., Belakovskiy, D.I., Agakhanov, A.A., Mills, S.J., Lanza, A., Favaro, M., and Bianchin, S. (2013), Cobaltoblödite, IMA 2012- 059. CNMNC Newsletter No. 15, February 2013, page 5; Mineralogical Magazine, 77, 1-12. Plášil, J., Kampf, A.R., Kasatkin, A.V., Marty, J., Škoda, R., Silva, S., and Čejka, J. 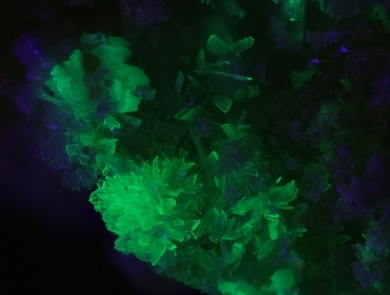 (2013) Meisserite, Na5(UO2)(SO4)3(SO3OH)(H2O), a new uranyl sulfate mineral from the Blue Lizard mine, San Juan County, Utah, USA. Mineralogical Magazine, 77, 2975-2988. Kampf, A.R., Kasatkin, A.V., Čejka, J., and Marty, J. 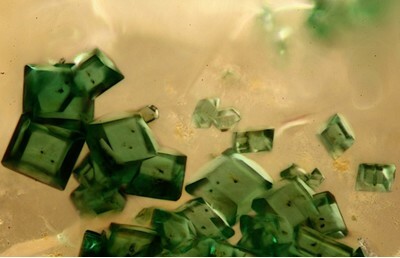 (2015) Plášilite, Na(UO2)(SO4)(OH)•2H2O, a new uranyl sulfate mineral from the Blue Lizard mine, San Juan County, Utah, USA. Journal of Geosciences, 60, 1-10. Kampf, A.R., Plášil, J., Kasatkin, A.V., and Marty, J. 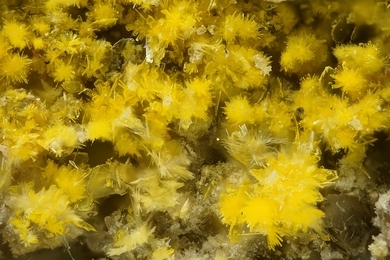 (2015) Bobcookite, NaAl(UO2)2(SO4)4·18H2O and wetherillite, Na2Mg(UO2)2(SO4)4·18H2O, two new uranyl sulfate minerals from the Blue Lizard mine, San Juan County, Utah, USA. Mineralogical Magazine, 79, 695-714. Kampf, A.R., Plášil, J., Kasatkin, A.V., Marty, J., and Čejka, J. 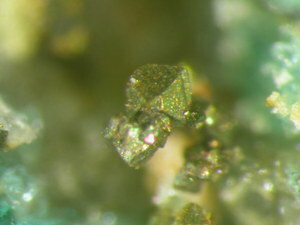 (2015) Fermiite, Na4(UO2)(SO4)3·3H2O and oppenheimerite, Na2(UO2)(SO4)2·3H2O, two new uranyl sulfate minerals from the Blue Lizard mine, San Juan County, Utah, USA. Mineralogical Magazine, 79, 1123-1142. Olds, T.A., Plášil, J., Kampf, A.R., Burns, P.C., Nash, B.P., Marty, J., Rose, T.P., and Carlson, S.M. 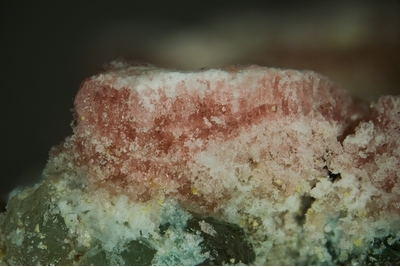 (2016) Redcanyonite, IMA 2016-082. CNMNC Newsletter No. 34, December 2016, page 1320; Mineralogical Magazine, 80, 1315–1321. Kampf, A.R., Plášil, J., Olds, T.A., Nash, B.P., and Marty, J. 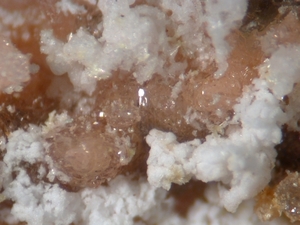 (2018) Ammoniozippeite, a New Uranyl Sulfate Mineral from the Blue Lizard Mine, San Juan County, Utah, and the Burro Mine, San Miguel County, Colorado, USA. Canadian Mineralogist, 56, 235-245. U.S. Bureau of Mines, Minerals Availability System (MAS) file ID #0490370026. Bullock, Kenneth C. (1981) Minerals and mineral localities of Utah. Utah Geological and Mineral Survey Bulletin 117, 180 pp.